At the end of January I journeyed to Canada and had to travel via London. I was dreading this but the flight over the centre of London with the buildings sidelit by early morning light proved to be a treat. In the small hours of 21st January 2019 there was a total eclipse of the moon visible from where I live, weather permitting! It was forecast to be cloudy so I didn’t stay up but set an alarm for just before the greatest totality at 5.12am and then woke anyway. There was an eerie orange glow in the sky, no moon visible and then I saw it looking like a copper coloured planet, not the bright shining disc we normally see. An arresting sight. It had to be photographed but it was so dark: 30 seconds exposure as wide as my lens would open at ISO 100 – useless because of motion blur due to the relative movement of the moon and the earth. The ISO had to go up to 1000 to give a reasonably sharp but grainy image. I got a couple of pictures and hoped to do a sequence every 10 minutes until the eclipse ended – but clouds intervened. I almost gave up then the clouds partially parted and eventually I managed a reasonable sequence until just before the end of the eclipse when the moon disappeared behind thick cloud. I was groggy the next day and slow to function but it was worth it! For once we had a sunrise on the first of January! 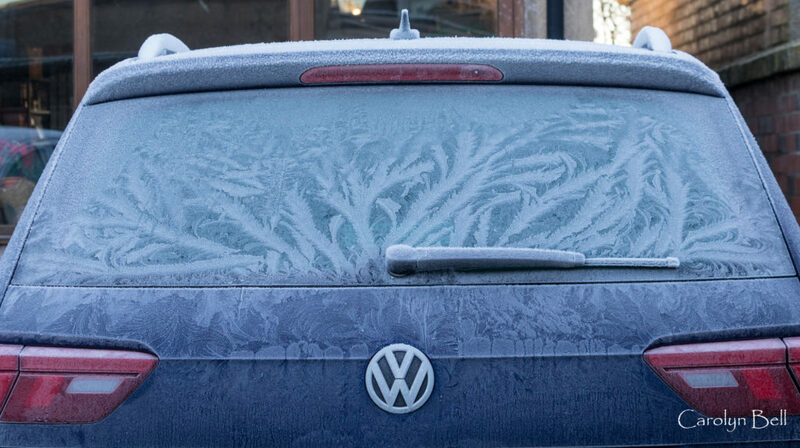 On Christmas Eve we had a hard frost which decorated the car beautifully! The garden was pretty too and there was a nice sunrise. 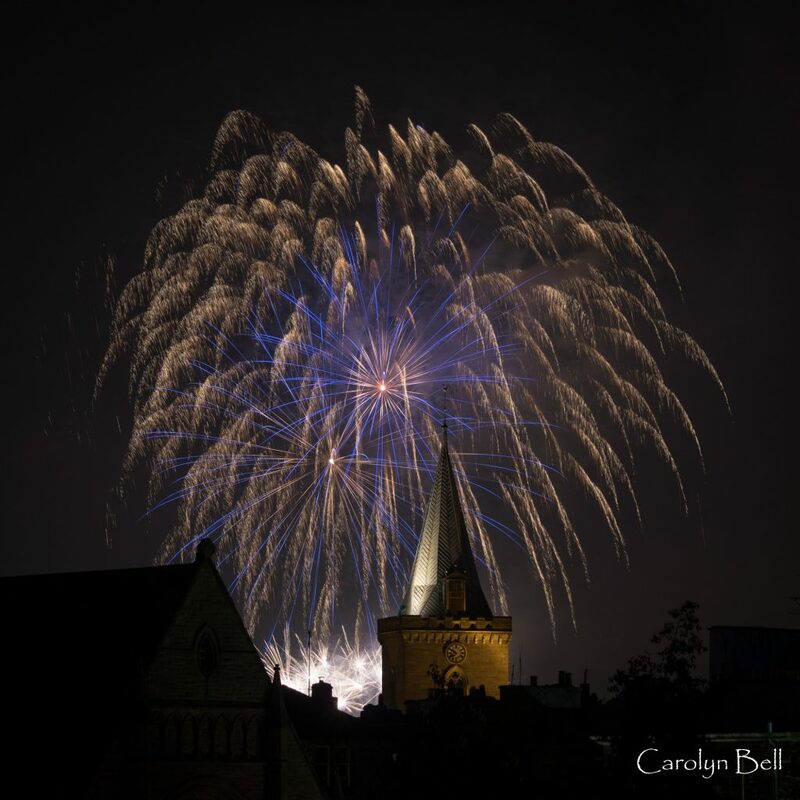 This year I chose to observe Perth’s annual charity fireworks display from Smeatons’s Bridge over the Tay. The action appeared above St John’s Kirk. 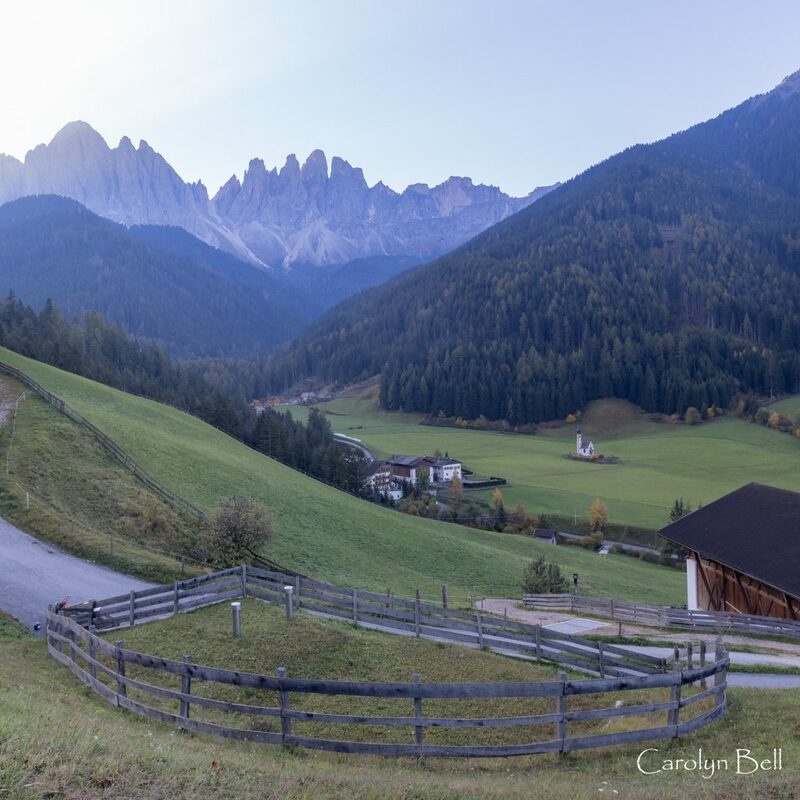 In October 2015 I travelled to the Dolomites with friends and found the area both delightful to visit and lovely to photograph. 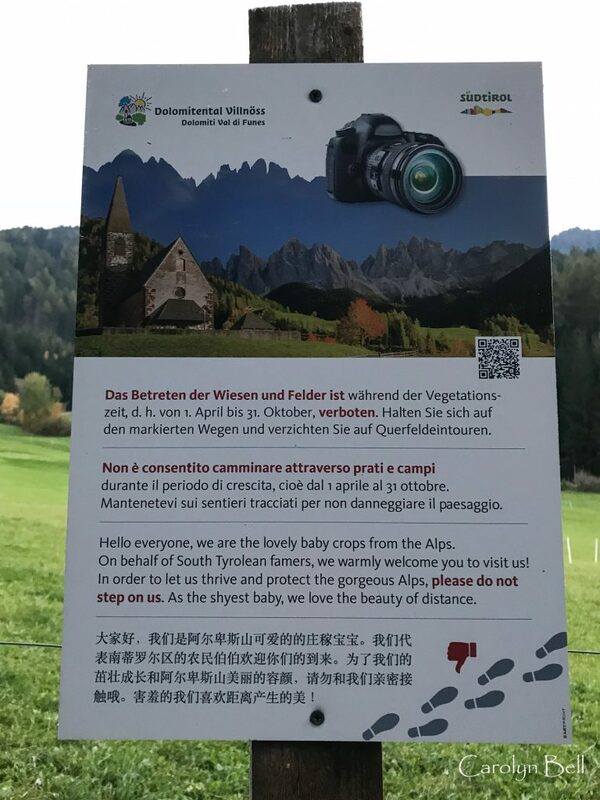 One particularly charming location was the Val di Funes, an alpine valley with pretty farms, charming guest houses and small hotels catering for nature lovers and walkers. Near the top of this valley lies the tiny church of St Johann in Ranui, a private chapel built in 1744, belonging to the Ranuihof farmstead. 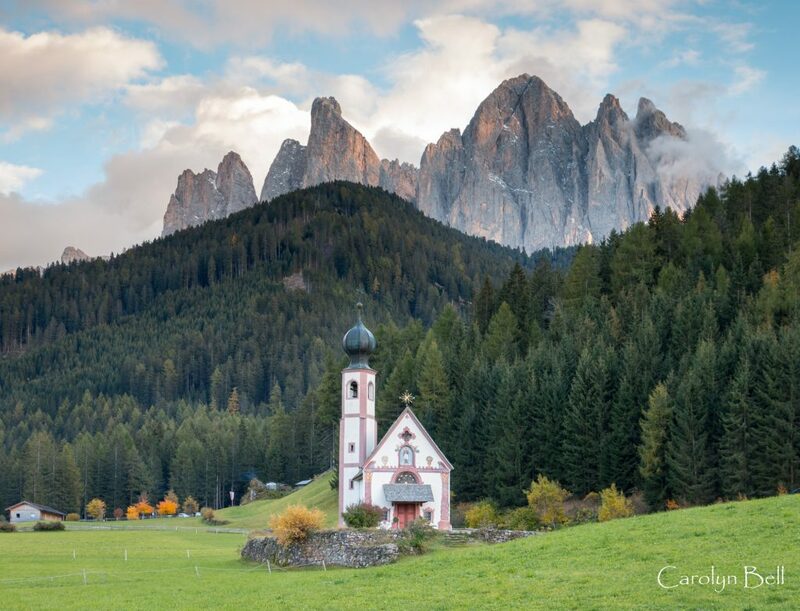 We parked in the car park by the farm, took many photos of the pretty church in its scenic location in front of the towering Geisler peaks and had lunch at the small hotel there. They seemed glad of our custom. It was all very idyllic and quiet. We saw 2 or 3 other people looking at the church in the hour or so we were around. 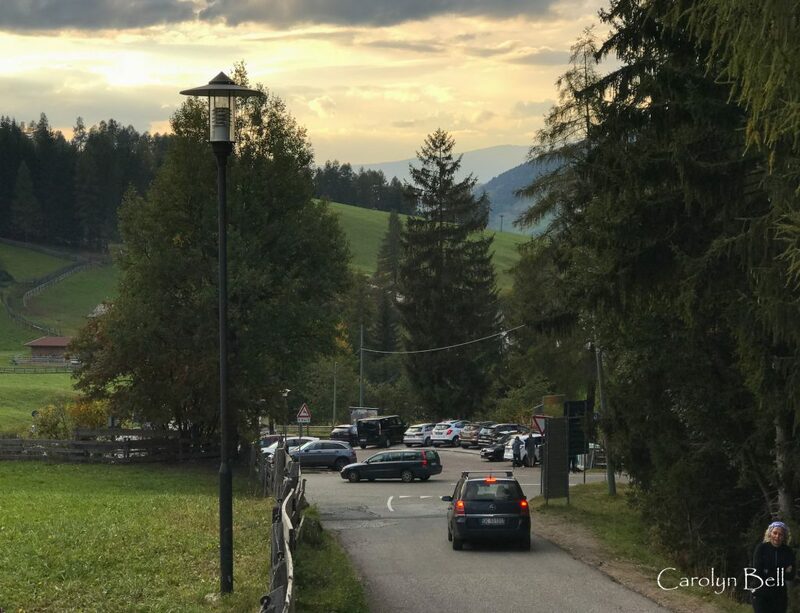 Two weeks ago I was excited to visit the Dolomites again but sadly the return visit to St Johann in Ranui was a shock. It is still possible to visit the church but it is now surrounded by electric ribbon fences keeping visitors to a narrow path which is creating a scar on the landscape. There were ‘no trespassing’ signs on the farm and people everywhere taking photos. 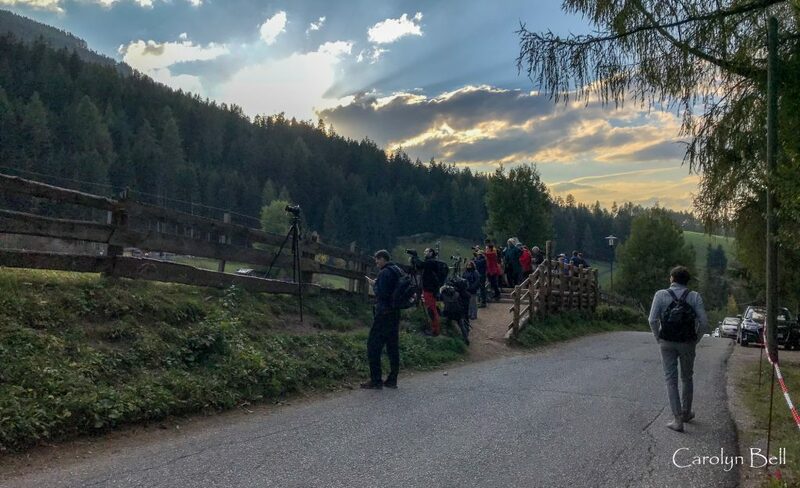 The locals have thoughtfully built a carpark and photographers’ viewing platform further down the valley but this was overwhelmed with visitors and as busy as a town on Christmas market day even though October is low season in the area. There was a sweet sign asking people to keep off the meadow and I’m glad to say this was being respected, but the tranquility of the valley is no longer and the locals were clearly suffering from an invasion of photographers in far greater numbers than the landscape can stand. Being one of the invading photographers I feel bad about this and feel duty bound to make this post. I think I’ll stick to visiting more robust locations in future. This month I am delighted to be taking part in Perthshire Photographic Society’s WILD SCOTLAND exhibition in the Birnam Arts Centre. These are my contributions. click on each photo to see it in better resolution. The exhibition is on until the end of September. I always love visiting the far northwest of Scotland because of its spacious landscapes and unusual geology. 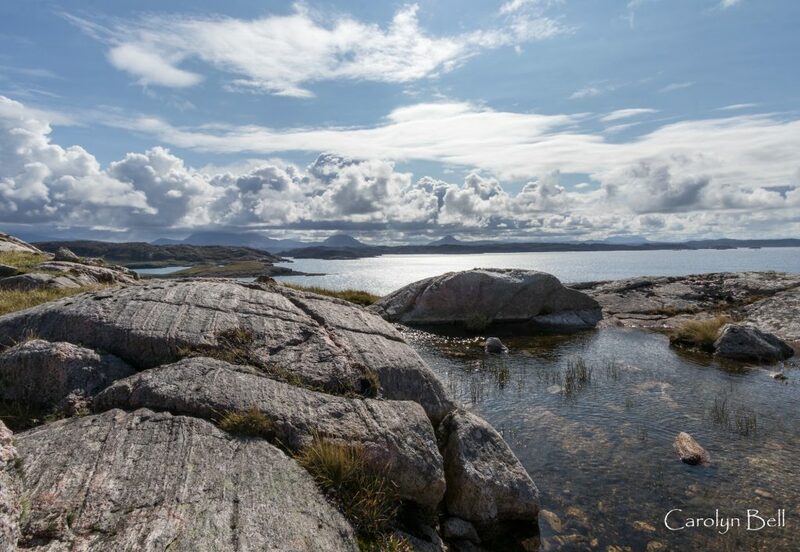 This is the view looking southeast from above Port Chaligaig. In July I enjoyed photographing some gardens for the Scotland’s Gardens scheme. 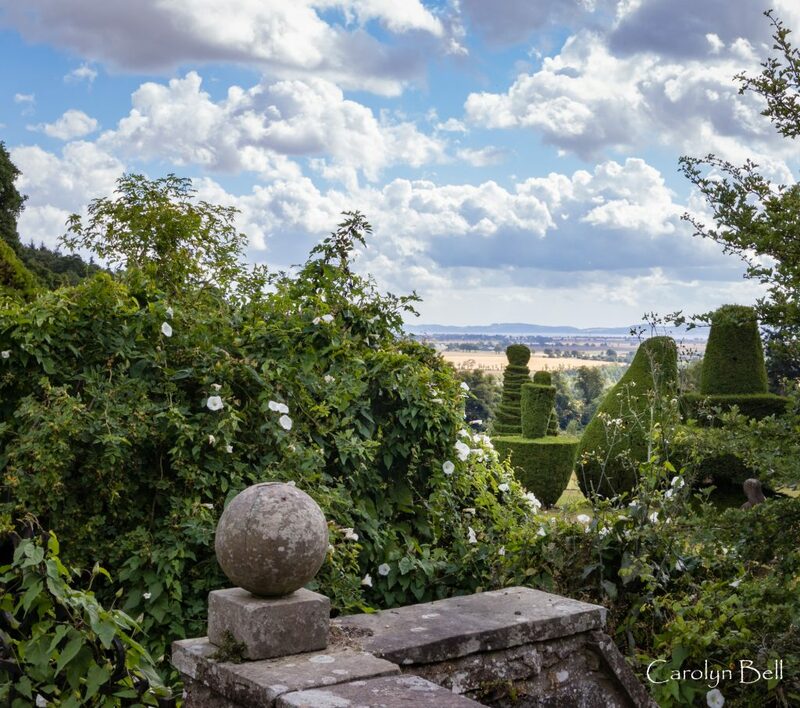 This is a view from Fingask Castle Gardens looking towards the Tay Estuary. 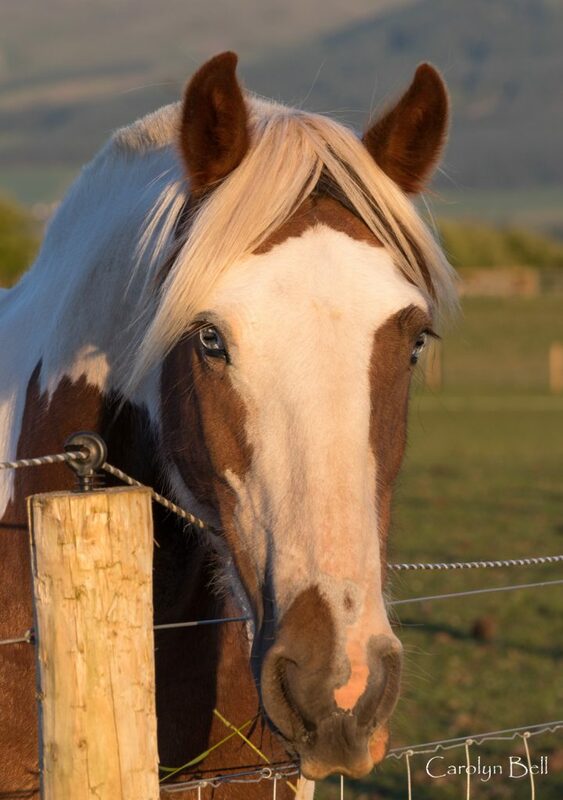 I went for a walk on the evening of the longest day and saw this white eyed horse in a field!